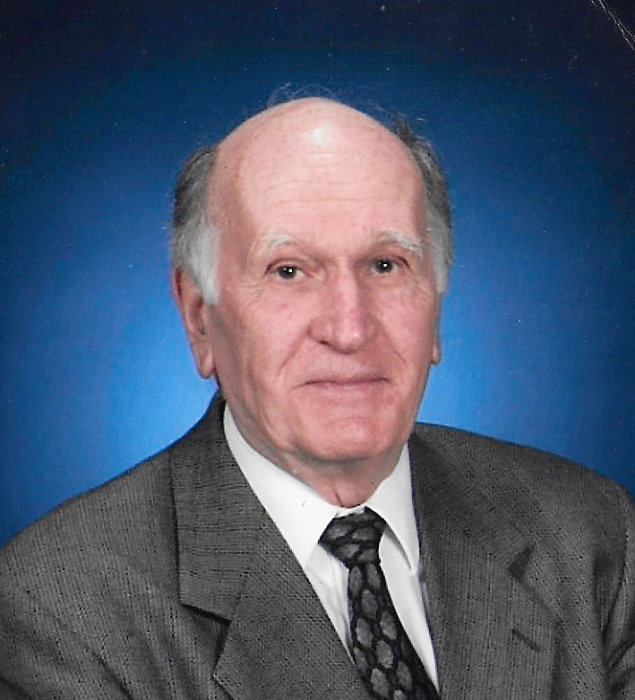 Kenneth G. Eliason, 87, of Green Bay, passed away on Feb. 8, 2019 surrounded by his loving family. Ken was born March 4, 1931 to Elisar and Elsie Eliason. He graduated from West High School and then spent four years in the Air Force. He was stationed in Newfoundland. He went to Waldorf and St. Olaf College and continued on to Luther Theological Seminary. Ken interned at a church in beautiful Montana before he pastored a church in Wannaska, MN and two churches in Montevideo, MN. Ken met Ramona (Singelstad) in Minneapolis, MN and was married to his “precious darling/better half” for 57 years. Ken loved his family very much. He built a two-story playhouse for his children and moved it all the way from MN to WI. Ken was very kind and always put others first. His love of God sustained him through the years. Ken enjoyed collecting seashells, woodcarving, playing cards, and was a member of the Sons of Norway. He was proud to be Norwegian. He is survived by his wife, Ramona Eliason; daughter Beth (Tom) Killian, son Dan (Karen) Eliason, daughter Mary (Alberto) Aguilar; grandchildren Stacie Stevens, Alissa Sieloff, Ashley (Justin) DeStarkey, Amber (Brandon) Pecho, Jeff Herrmann, Andrew Aguilar, Alex Aguilar, Frankie Aguilar, Mario Aguilar; and great-grandchildren Paige Pecho and Gavyn DeStarkey. He was preceded in death by his parents and his brother, Lowell Eliason. Visitation for Ken will be Sunday, February 17, 2019 at Calvary Lutheran Church, 1301 S. Ridge Rd. from 3:00 p.m. until the time of the service at 4:30 p.m. with Rev. Jeff Fricke officiating. Expressions of sympathy, memories, and photos may be shared with Ken’s family on his tribute page at www.lyndahl.com. The family would like to extend a special thank you to Unity Hospice.